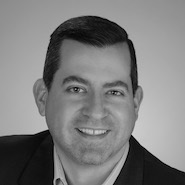 Joe Bruzzese Founder, CEO After a ten-year tenure as an upper elementary and middle grades teacher, Joe left the classroom to pursue an MA in Educational Technology from Azusa Pacific University. 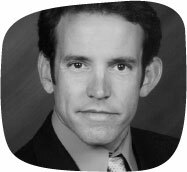 Joe was a Professor in the Teacher Education Program at the University of California Santa Barbara and at Westmont College from 2004-2010 and currently holds a professorship position at Azusa Pacific University in their education department. His work as a highly acclaimed speaker and respected authority in the fields of education and parent guidance, led to Random House selecting and publishing his book, A Parents’ Guide to the Middle School Years, in 2009. 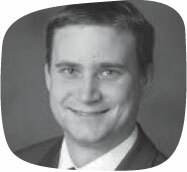 As CEO and Founder of Sprigeo, Inc, he brings together domain area knowledge and a solid foundation of relationships with key influencers among school districts nationwide and in state level education offices and legal entities. Joe currently serves as the President-Elect on the board of the International Bullying Prevention Association. Julie Sorenson V.P. 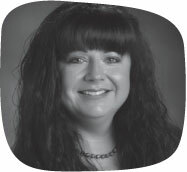 of Customer ServiceJulie has a Bachelor’s degree in Human Development/Family Studies with a minor in Psychology. Her work experience began with direct care and management in group homes. She worked at Devereux for ten years, working primarily as a medical case manager. She performed Development work for the Santa Barbara Education Foundation for over a year. She has been a marketing consultant for several small businesses and is a board member of UCP/Work Inc. and Angels Bearing Gifts. Julie also serves on the steering committee for Teen Star Santa Barbara. She is married with two daughters ages 12 and 15. When her children were younger, she worked with Parent Click, doing Marketing/Sales for seven years. David Poarch Lead Web DeveloperDavid’s experience in development spans over 13 years and includes a select group of clients. 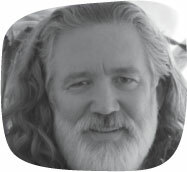 His knowledge and understanding of database development, coding and systems integration has driven interest from NASA, Northrup Grumman, General Dynamics and SRA International. David brings efficiency and precision to the Sprigeo team, two traits that have propelled the team forward, enabling us to respond to customer requests in hours rather than days. We look forward to watching the Sprigeo platform grow under David’s software development guidance. David Perrodin, PhD, worked twelve years as a Director of Special Education & Pupil Services. He exited school administration in order to focus exclusively on researching school safety and high-stakes decision-making at University of Wisconsin – Madison. David has entered his 17th year as a core faculty member with Viterbo University’s Educational Leadership Department. He instructs aspiring school administrators on the nuances of pupil nondiscrimination and school safety and also teaches educators how to promote inclusion of students with special needs. In 2019, Rowman & Littlefield publishers released Dr. Perrodin’s book, Schools of Errors – Rethinking School Safety in America. The book received more than a dozen editorial endorsements and was lauded for exposing the unchecked fortification of America’s schools and for identifying the systemic disregard of scientifically-supported measures known to improve threat identification and reporting processes. 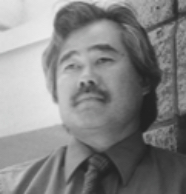 Wayne Sakamoto Senior ConsultantDuring a 26-year career in education, Mr. Sakamoto became a leading expert in the field of school safety. As the Director of Safe Schools in Murrieta California, he developed the district safe schools unit, assisted in the development and implementation of safe schools plans and activities, conducted periodic safety and security audits while working with and monitoring campus security and campus aides to ensure a safe school environment. Mr. Sakamoto’s background also includes a career as the Lead Coordinator for Violence Prevention/Intervention Team for the San Diego County Office of Education where he assisted 42 school districts with safe schools and violence prevention efforts. His expertise and technical assistance as a content expert, consultant and trainer has led to national recognition for his work in connection with trainings on school safety topics such as connecting at-risk youth, building positive school culture, gang awareness and prevention, violence awareness and prevention, hate crime prevention and solutions to bullying. Mr. Sakamoto produced a series of training videos for Sprigeo based on his Solutions to Bullying professional development series. Sprigeo is pleased to have Wayne as a part of the team. 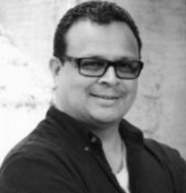 René Moncada Senior ConsultantMr. Moncada’s experience in education spans over 15 years. As the Director of Safe Schools for the Tulare County Office of Education Mr. Moncada provided administrative leadership, oversight and technical support for federal and state grants to county schools. He developed and provide professional development trainings for six Central California counties on Safe Schools strategic planning. His expertise in developing countywide partnerships between education, law enforcement, department of social services, District Attorney’s Office, and various community-based organizations has resulted in high-impact programs and assistance to students throughout the state of California. Mr. Moncada’s background also includes a career as the Administrator of Migrant Education for Region VIII in California. In this position he provided administrative leadership and support to 52 school districts throughout Kings and Tulare counties, which included overseeing all aspects of Pre-K, Out of School Youth, K-12 Interventions, Health, and Parent training and development. 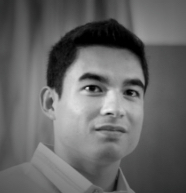 René was the primary author connected with the Sprigeo Crisis Response Plan. His experience as a school safety expert, school administrator, and community advisor has proven to be invaluable to the growth and sustainability of Sprigeo. 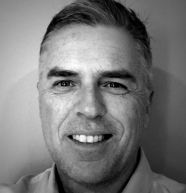 Greg Sorenson Senior ConsultantGreg Sorenson has had an extensive law enforcement career in Southern California. He has worked patrol, as a detective in criminal investigations, internal affairs, community resources and most recently as a sergeant on patrol. During his time as a community resources officer, he conducted numerous seminars regarding school related violence and implemented school security measures for both public and private institutions. Greg is excited to be a part of the Sprigeo team and is looking forward to advising the organization in his field of knowledge. Dr. Chad SayreDr. 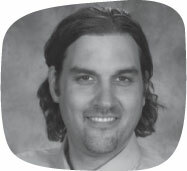 Chad Sayre is a longtime educator who currently works in the Park Hill School District in Kansas City, Missouri where he serves as an assistant principal at Park Hill High School. As an Olweus certified trainer presenting at numerous elementary, middle, and high schools across the metropolitan area, Dr. Sayre is a strong advocate of bully prevention. His research focuses primarily on school culture, safety, and institutional capacity. With grants from the University of Missouri and the European Union, he was able to study abroad focusing on student achievement in underprivileged environments. Most recently, he presented at the International Bully Prevention Conference on institutional saturation of processes to support bully prevention in schools. Dr. Sayre received his undergraduate degree at William Jewell College in elementary education, Master’s in Education Administration from the University of Missouri – Kansas City, and Ph.D. in Educational Leadership and Policy from the University of Missouri – Columbia. NASW (National Association of Social Work)’s 2011 annual conference in Charleston West Virginia where he presented a breakout session on The Bully The Bullied and The Bystander. IBPA (International Bullying Prevention Association)’s 2011 annual conference in New Orleans Louisiana, where he gave one of the closing keynotes. The Born This Way Foundation’s symposium on meanness and cruelty at Harvard University, 2012, where he was a youth representative. IBPA’s 2012 annual conference in Kansas City Missouri, where he presented a keynote with a panel of bullying prevention experts. FOSI (Family Online Safety Institute)’s annual conference in Washington DC, where he was a part of a breakout session presented by a panel of youth experts. 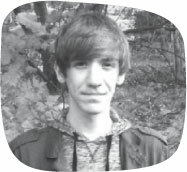 Aidan was also inducted as a Sprigeo Hero in 2011 along with Gary McDaniel, and looks forward to a future in helping everyone he can. 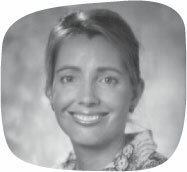 Rebecca HoffartRebecca Hoffart is an educator, information specialist and administrator at All Saints Cathedral School, a K-12 Episcopal school located on the island of St. Thomas. She holds Master’s degrees in Education, with a concentration in Teaching with Technology, and in Library and Information Science, with a concentration in School Librarianship. She is a certified teacher and spent 5 years teaching in Mexico City at the Monterrey Institute of Technology and Higher Learning. Ms. Hoffart’s areas of interest include educational technology, world languages, and diversity. Her responsibilities include administering an annual $200k+ in grant funds for her school and managing a dozen web-based services including Sprigeo. She is active in local and national organizations involving technology, librarianship and environmental preservation. On weekends and holidays you are most likely to find her enjoying the tropical waters of the Caribbean. 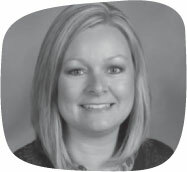 Jennifer Glickley Jennifer Glickley is in her 11th year as a school administrator in the suburban Chicago area. She has been the principal of River Trail School (formerly Gurnee Grade School), a Kindergarten through 8th grade school, for the past 6 years. Jennifer recently completed her dissertation on Bystander Leadership and its Effect on Relational Aggression. She presented on Bystander Leadership in June of 2012 at the National Girl Bullying Conference in Atlanta, Georgia, and was recently nominated as the Lake County Illinois Elementary Principal of the Year. As a former special education and regular education teacher, Jennifer is a strong advocate for teaching children pro-social skills to help them solve problems in a kind yet thoughtful manner. Kyra BobakMs. Kyra Bobak, is the Director of Human Resources and Pupil Personnel Services at Seneca Valley School District located in Harmony, Pennsylvania. 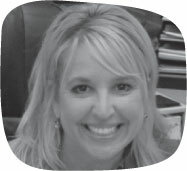 She has 19 years of experience in education and has been an administrator in Seneca Valley School District since 2006. She served as an assistant principal and then as a principal for an elementary school in the district. During her work as a building principal, her school received the Olweus Quality Assurance designation in 2011 being one of the three schools in the nation to be recognized. Kyra is a member of numerous professional associations, and as the Director of Human Resources and Pupil Personnel Services, she spearheads the district diversity committee, the hiring process, and professional development opportunities for new teachers. Her career in education and higher learning began when she earned her Bachelor of Science degree in Elementary and Early Childhood Education from Edinboro University of Pennsylvania in 1994. She later completed her Master’s in Administration and Policy Studies from the University of Pittsburgh. Prior to working at Seneca Valley School District, Kyra Bobak worked as an elementary teacher in the Clark County School District in Las Vegas, Nevada and as a teacher and principal in the Wilkinsburg School District in Wilkinsburg, Pennsylvania. Lisa Noel DuvalMrs. Lisa Noel Duval is the principal of Steel Valley High School in western Pennsylvania, about 15 miles outside of Pittsburgh. She obtained her Master’s degree in Educational Administration: Collaborative Leadership and is currently working toward her doctorate in Educational Leadership and Administration. The topic of her dissertation will be investigating the connection between personality and bullying at the middle school level. Her passion for mid-level students is the primary reason she implemented Sprigeo in her school, and it was the first school in PA to do so. She understands the workings and needs of early adolescents and feels that Sprigeo provides a useful outlet for students to convey issues to adults in the school in a safe and anonymous environment. Gary McDanielGary McDaniel, MSW, LICSW, is a Clinical Social Worker who works for Morgan County Schools. Partnering with administration, faculty, parents, community partners, and most importantly students, Gary helps create an environment where all are equal and all can learn. He also teaches graduate social work courses as for West Virginia University’s Division of Social Work. He was awarded the NASW West Virginia Social Worker of the Year award for 2010, as well as Pinwheels of Prevention for work with families in Morgan County by the state prevention partnership in 2010. Gary also was a Morgan County Partnership Partner of the Month in 2011. He was inducted into the USA Martial Artists Association Hall of Fame in 2011 for his work with violence prevention. He works with a variety of student driven initiatives and peer driven interventions including bullying and suicide prevention, performing arts, student/adult co-presentations and trainings for classrooms, schools, conferences and symposiums – and of course: sardine clubs. Kerrie HerrenOriginally from Lincoln, Nebraska, Kerrie Herren is in his sixth year of education. He currently works in the Park Hill School District as Assistant Principal at Plaza Middle School. Plaza continues to be a leader in the Kansas City area in their integration of a consistent and coherent anti-bullying program. Prior to administration, Kerrie served as a high school math teacher, advisor to student council, and baseball coach. Before his calling into education, Kerrie worked with over 60 college campuses in the south and southeast regions of the United States as a Senior Leadership Consultant for Phi Delta Theta. Kerrie has a master’s degree from The University of Kansas in Educational Leadership and Policy Studies and is currently working towards his doctorate in District Level Leadership at KU. 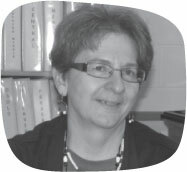 Mary Yoder Holsopple, M.S., is the Bullying Prevention Coordinator for Elkhart Community Schools in Elkhart, Indiana. 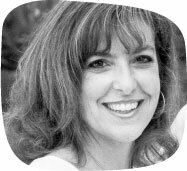 As a certified Olweus Bullying Prevention Program Trainer and Technical Assistance Consultant, she has trained numerous schools and mentored new trainers. She is also the Olweus State Leader for Indiana. Mary consults regularly with organizations and schools about bullying prevention and safe climate issues in student services. She has extensive experience in school social work and international development, having lived in Africa for 10 years. She is the lead author of the book Building Peace: Overcoming Violence in Local Communities. She is also an active member on the International Bullying Prevention Association (IBPA) Board.